Back Design White text with the name of the deck, the artist and the URL on a black background. 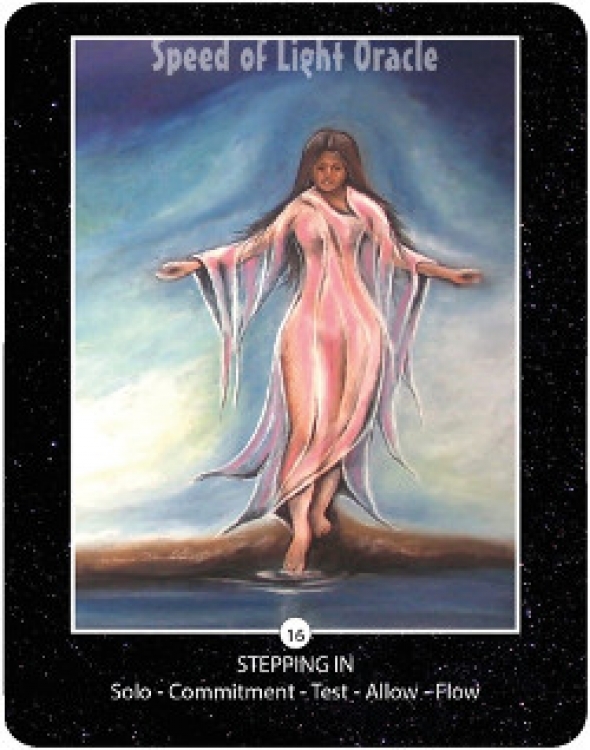 Companion Material 80-page booklet is included with the deck. deck with great quality cards and in a lovely size. The box is well presented and the book is easy to understand and describes all the cards in the deck and how to use them. There are also particular cards that when drawn allow you to enhance the reading by drawing extra cards. All the cards are original artwork by the creator herself so they are beautiful, unique and energetically spot on. I have been reading tarot and other oracles for over twenty years and I love these cards , and the other products from Temple of Balance. All the readings I have done with this deck have been very accurate, I know this due to the excellent feedback I have had from hundreds of readings. I have owned these cards since they were first released in 2014. The cards cover lots of different areas in life and include animals, spirit guides and energy drawings that work with your energy in the moment, the past or the future. You can just pull one card for the day or do a whole in depth reading using many different cards for yourself or for friends or clients. If you are looking for a deck that is easy to understand and learn, is great for beginners, or if you are well on your way and just looking for something a bit different but accurate, this is your deck. It is also great just to work with the energy from the art, or to meditate with, or to just shift energy. I highly recommend these cards to anyone, whether you are starting out or experienced.